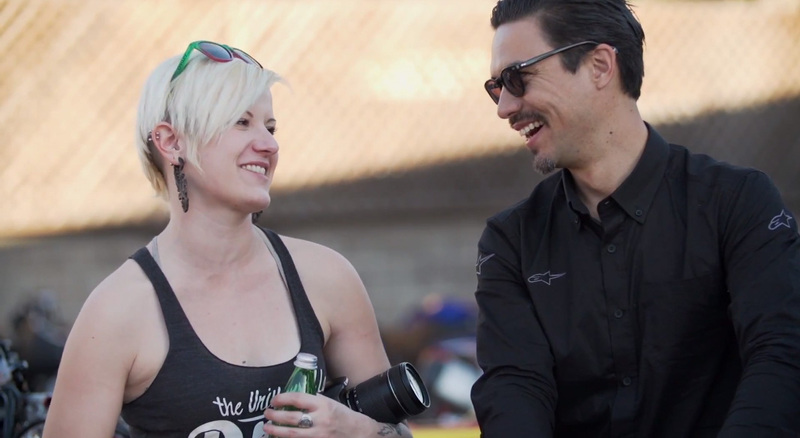 When Joy and I rolled into the Raduno Ducati motorcycle show at the end of January at Deus in Venice Beach, the Ducati folks were taking video of bikes and riders in attendance. Well, the ‘Ducati People: Venice Beach’ video was released on youtube today, and Pandora and I made the cut! There were so many breathtaking machines (and really cool people) at the event, I’m very flattered to have been included. Those close to me know I do love Ducati, but that my passion for two wheels bleeds far beyond those made in Italy. However, I have to say, this was one of my favorite events so far. Why? Perhaps a combination of my time working at MotoCorsa in Portland, getting to know Ducatista and the quirks of their bikes much better than any other, and the fact that Pandora didn’t stand out. I didn’t actually gussy up the Monster so that it’d be the prettiest princess on the block, but so that I’d feel proud of the machine I ride and be happy to show it off. This was the perfect place to do that, because most people meandering through the bikes have a special place in their heart for the desmo driven. My buddy Shad from Bakersfield and his GT1000 also make an appearance in the short video (just shy of three minutes). Want a closer look at the bikes in the video? Head over the the Raduno Ducati Motorcycle Show feature and drink in all of the beauty. 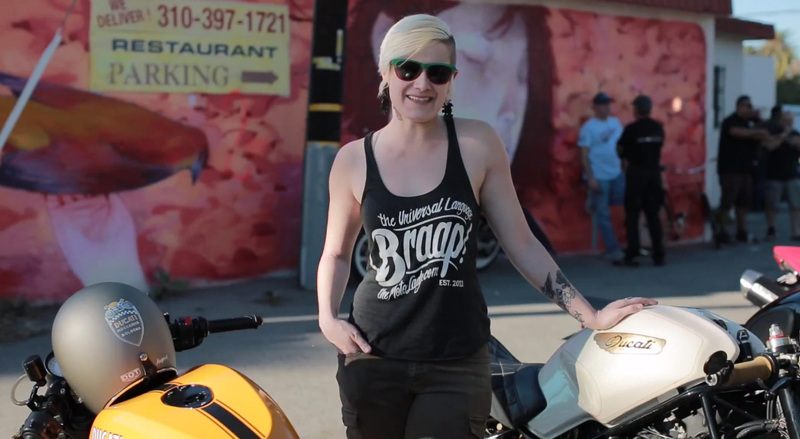 In case you’re curious, I’m wearing the MotoLady + Wolf Designs ‘Braap’ tank top, available in the shop.